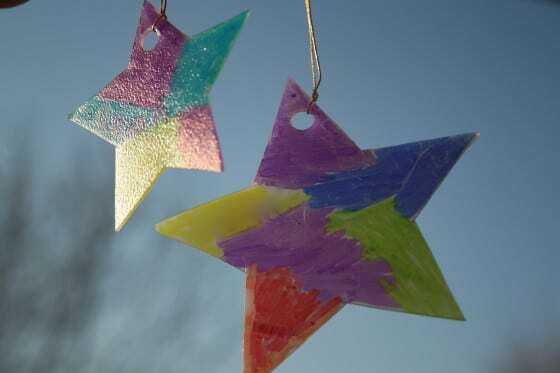 Kids can make these easy milk jug sun catchers to hang on the Christmas tree or to string into a garland. All you need is a plastic milk jug and some Sharpie markers! 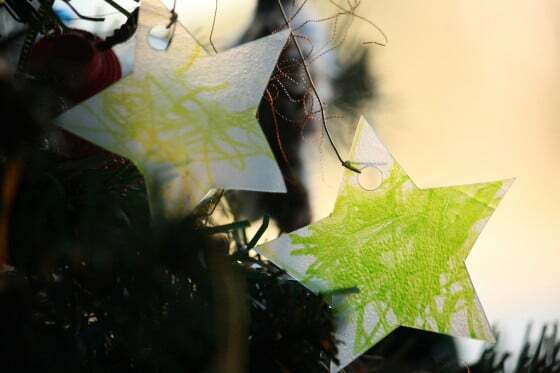 Great Christmas craft for toddlers and preschoolers but older kids will love it too! 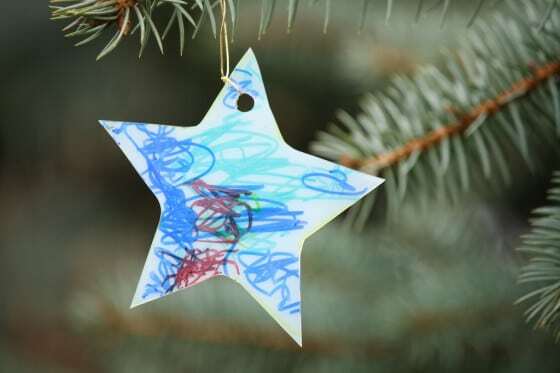 Looking for an easy, last minute Christmas craft to do with your kids? 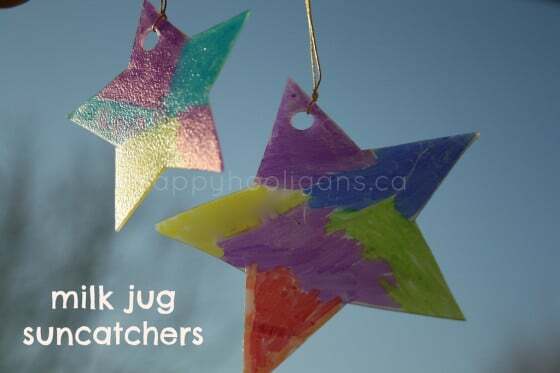 Our milk jug sun-catchers are simple, inexpensive ornaments for toddlers and preschoolers to make, but older kids will have fun decorating a bunch for your Christmas tree as well. I should specify that here in Canada, our milk doesn’t come in plastic jugs, so we use plastic vinegar containers for this kind of craft. The thickness of the plastic is similar so the results are pretty much the same. 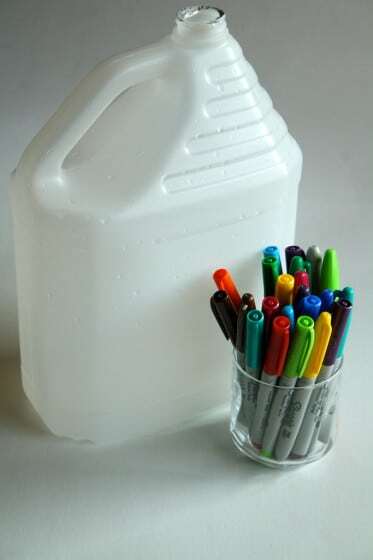 We’ve done a lot of crafts using plastic jugs and Sharpies because the effect of the markers on the plastic is lovely. * Any translucent container will work. Fill the jug with hot water, and let it sit for a couple of minutes. The heat from the water on the inside of the jug should be enough to soften the glue on outside, and you should be able to pull the sticker off easily. 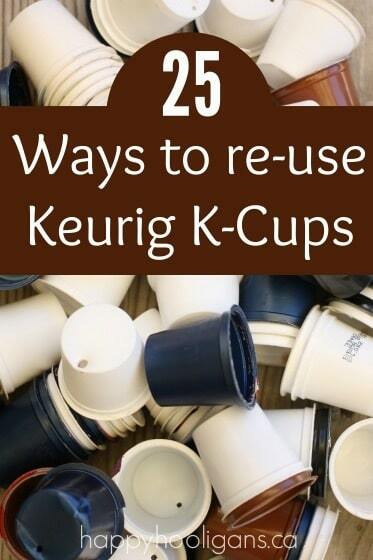 I normally use my blowdryer to heat stubborn stickers, but when you’re dealing with thin plastic, the hairdryer can warp and melt the container, so hot water is a better option. Choose simple shapes for your sun-catcher ornaments: stars, hearts, circles, etc. Draw your shape on the flattest side of your container. If you don’t have a stencil, you can cut the shape that you want out of a piece of cardboard (think: cereal box), and trace that. I used a Sharpie to draw my stars on the container. Cut out your shape. A craft knife is handy for this, but I just used scissors, and they went through the plastic easily. Now have your children colour the shapes with permanent markers. Sharpies are great for colouring on plastic. Depending on the age of your little one, they may be very simple looking or quite ornate, but either way, they look pretty when they catch the light. If you’re looking for more easy and inexpensive Christmas crafts for kids to make, click the following link to find all of ours on my Hooligans Xmas Pinboard. These would make great Christmas tree ornaments! Don’t think I’ll trust my 2 year old with permanent markers though… Would washable markers, wipe off the plastic, do you think? Your 2 year old might surprise you, Kristen. I had a 2 year old using them yesterday, and the rest were all 3, and there were no mis-haps. 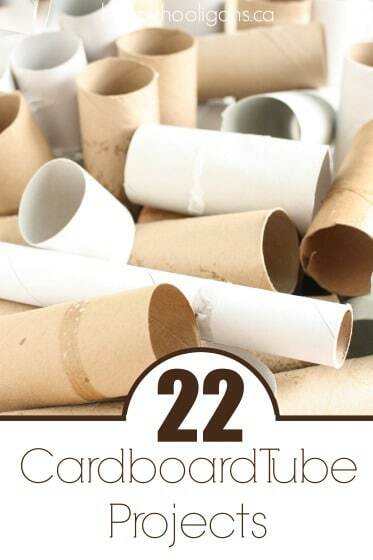 If you’re worried about it, you can put a plastic table cloth or large piece of cardboard down as a work surface. The hooligans always work on a plastic table cloth on the floor. That way any messes – paint, glue, markers etc are contained to the table cloth. Those are SO beautiful Jackie! I really need to invest in some sharpies. I see so many great crafts that use them. I wonder if regular markers would work or if the ink would just wipe off? PS – lol at vinegar jug sun catchers! 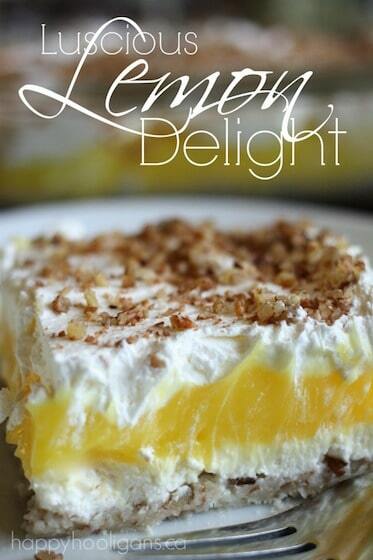 Pinning and will be sharing on my page tomorrow. Thanks, Ness! Yes, you DO need some Sharpies! The hooligans don’t use them freely for every day art because of the permanent staining factor, but they’re great for colouring on plastic or tinfoil at craft time, and I love them for my own reasons – writing on gift cards, homemade greeting cards etc. 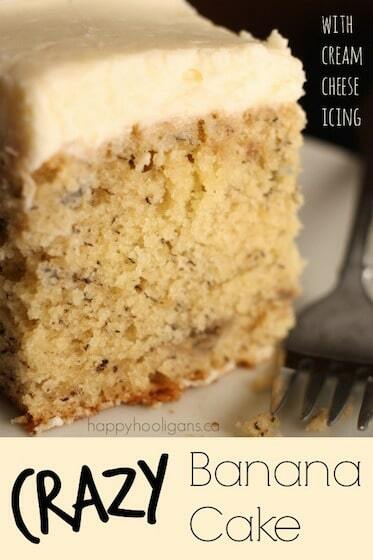 Oooh, I love these! 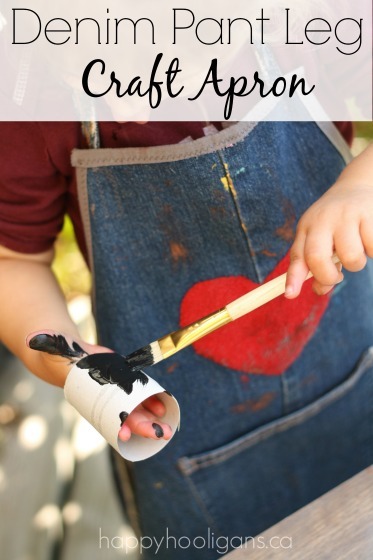 You have some great projects for toddlers! These are good! 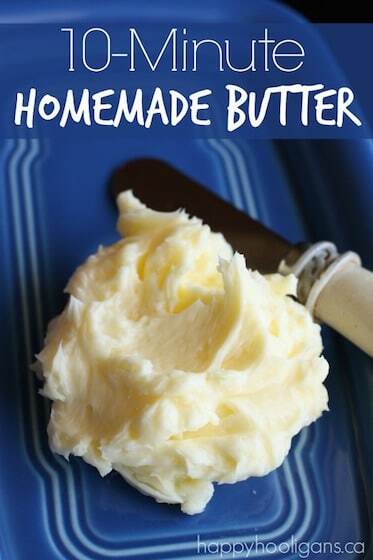 I love easy projects that wow the little ones. How do I get the website. If you want to subscribe to my posts (I’m guessing that’s what you mean? ), you can click on the red bar at the top of your screen, and fill out the form with your email address. You’ll start receiving my posts in your inbox as I publish them. Thanks for following along!